The University of Cincinnati Bearcat is headed "down the drive" and will be popping up all over town in the coming months. UC's "Hero Bearcat" exhibit features 30 life-size sculptures of UC's iconic mascot, similar to the Flying Pig and Mr. Red Mustache installations from years past. 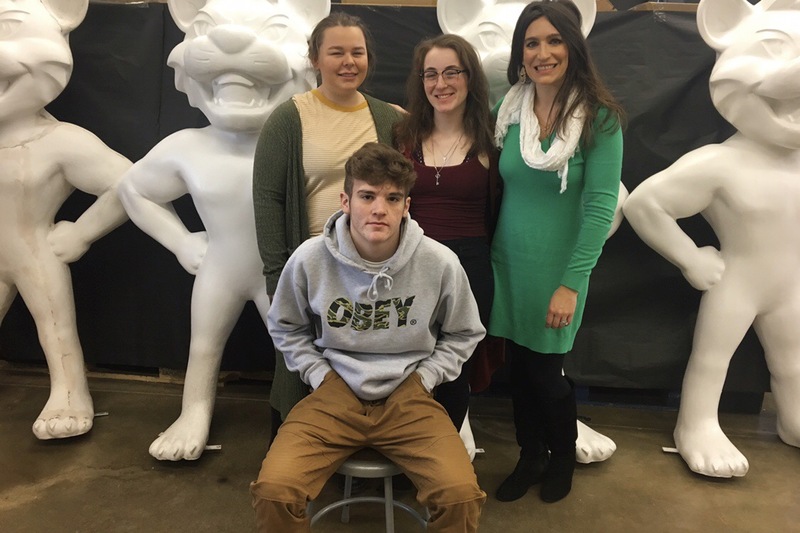 The sculptures will appear in a variety of locations, from downtown to Clifton to Liberty Center. Five of the 30 designs will be executed by Harrison High School students artists. Three of the chosen designs were created by student artists Ava Kugler, Evelyn Herrmann and Eric Cooper, with the remaining two being the brainchild of art teacher Alicia Cummings. Under Cummings' tutelage, the artists get a $1500 stipend from UC, with any remaining funds going to the Harrison High School Art Club.